Venezuelan President Nicolas Maduro received a rare yet exceedingly warm welcome Thursday as he landed in Beijing, where the oft-maligned leader and target of U.S.-spearheaded regime-change efforts will discuss new ways in which his government and the People’s Republic of China can deepen their relations and strengthen their long-running ties. The state visit, which came at the invitation of Chinese President Xi Jinping, gives the elected leader of the Bolivarian Republic of Venezuela an important opportunity to break from the imposed isolation his government has suffered amid the concerted economic, diplomatic, and propaganda war being waged on the South American nation. We are leaving under better conditions, having activated a program of economic recovery, growth and prosperity. We are going to improve, broaden and deepen relations with this great world power. In the past several years, Venezuelan finances have been on the rocks amid plummeting commodity prices that have shaken oil-exporting nations across the globe. 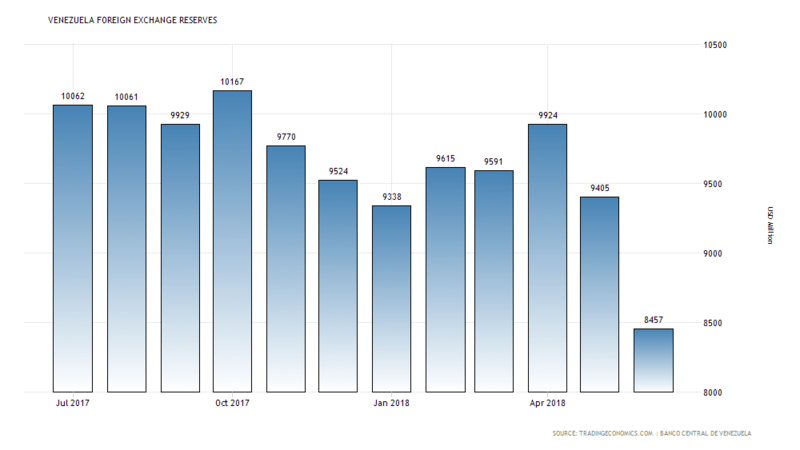 The country has approximately $8.3 billion in foreign exchange reserves and its ability to access external financing has been hobbled by an unceasing flow of sanctions from Washington. Venezuela has seen the intense opposition protests from last year fade, only to be replaced by a massive migratory crisis and increased fears of U.S.-led military interventions or U.S.-supported coups. Last month, Maduro was the subject of an assassination attempt when an explosives-laden drone targeted him during a military parade. Axis of Evil 2.0 or simple shared interests? Bloomberg reported Thursday that China had agreed to extend a $5 billion line of credit to Venezuela, which would be repayable in either cash or oil. The two countries will also likely sign a strategic accord on gold mining, Venezuelan Finance Minister Simon Zerpa told Bloomberg News. “Venezuela has a great alliance with China,” the minister stressed. Beijing, for its part, has expressed glowing confidence in Venezuela’s ability to rebound from a thoroughgoing economic crisis that has shaken the foundations of the left-wing government. For over a decade, China–a top oil-importing nation–has agreed to $50 billion in loans to Venezuela as a means to secure oil from a country with the largest oil reserves in the world. Since August, China has largely halted its oil imports from the U.S. amid the raging trade war between the two countries, largely in fear of the possibility that U.S. crude–which takes months to ship by sea to China–would be added to Beijing’s tariffs list. However, Beijing has recoiled at the accusation that it is simply interested in a geopolitical chess game with Washington, whereby the growing Asian giant is purely motivated by the goal of reducing its strategic partners to the level of pawns. 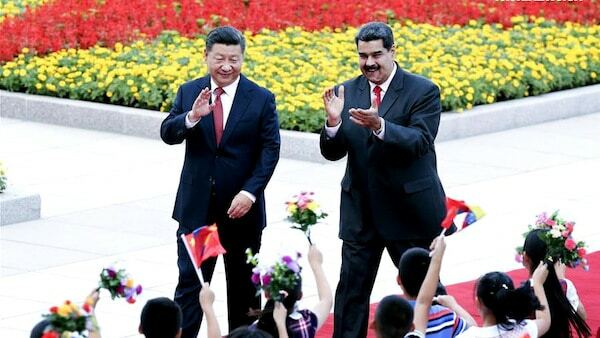 President Maduro’s China tour will give rise to many conjectures from Western media. But they should be more realistic. In recent years, China has assisted Venezuela in social projects meant to renovate the country’s poor barrios and build over ten thousand fully-furnished housing projects; helped launch satellites to bring telecommunications and internet services to poor regions in the country; and assisted in the upkeep and modernization of the country’s oil-production infrastructure. The two countries have formed joint ventures for the production of automobiles, mobile phones, passenger vehicles and computers, and Venezuela also provides a crucial market for various Chinese consumer goods. Caracas has also taken a great interest in Beijing’s Belt and Road initiative and its expansion to Latin America, a region China sees as a natural extension of its 21st-Century Maritime Silk Road trade and development plan. By continuing to show its support for the beleaguered government of President Maduro, Beijing is hoping to champion what it sees as an innovative model of South-South cooperation with a state that still enjoys a broad and significant level of popular support in spite of its detractors. In essence, China is also hoping to throw its weight behind those countries that are struggling to pursue an independent development path in a region that has, throughout its entire modern history, been subject to the whims of foreign powers. Given the humble goal of Caracas to simply free itself from the domineering whims of a U.S. imperialism keen on reviving the notorious Monroe Doctrine, it is obvious why the United States would see sinister motives in the fraternal reception Beijing has offered to the Venezuelan head of state. Elliott Gabriel is a former staff writer for teleSUR English and a MintPress News contributor based in Quito, Ecuador. He has taken extensive part in advocacy and organizing in the pro-labor, migrant justice and police accountability movements of Southern California and the state's Central Coast.